With the release of the film Selma, tremendous interest has been generated among youth activists in the struggle for Voting Rights as it reached its apex in March 1965. This campaign for the ballot in Dallas County, Alabama, where Selma is located, did not begin when Dr. Martin Luther King, Jr. and the Southern Christian Leadership Conference (SCLC)intervened during early Jan. 1965. In fact, as mentioned in the film, organizers from the Student Nonviolent Coordinating Committee (SNCC) had been working in Selma for at least two years prior to SCLC. The members of the Dallas County Voters League had been working there for ages; they were part of that longtime movement struggle. They had done some voting rights work, and small numbers of schoolteachers and other middle-class black people had been registered. League members also had filed some related lawsuits. 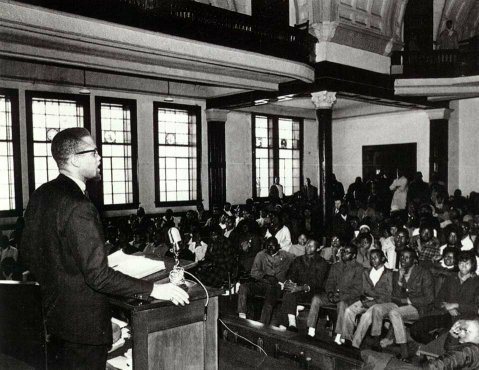 After the coming to Selma of Dr. King and SCLC in early 1965, on Feb. 3, Malcolm X, the founder of the Organization of Afro-American Unity (OAAU), visited Alabama where he spoke at Tuskegee Institute, a historically African American university eighty miles away from Selma. Malcolm had broken with the Nation of Islam nearly a year earlier pledging to work in an alliance with the Civil Rights Movement, particularly the youth. 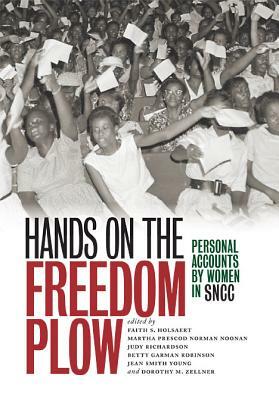 Fay Bellamy Powell, a former member of the U.S. Air Force, was recruited into SNCC during late 1964 and wound up in Dallas County, Alabama running the organization’s office and conducting press work. She found out along with Silas Norman, also of SNCC, the details of Malcolm X’s itinerary at Tuskegee. When they arrived on Feb. 3 at the campus auditorium the place was packed with standing room only. The SNCC workers were able to get into the hall and eventually spoke with Malcolm after his lecture which consisted of an extended question and answer period. Each morning Brown’s Chapel would fill with elementary, junior high and high school students. They were the core of the Selma Movement and took part in all the demonstrations. Usually these morning sessions were lively and noisy. Silas and I answered Malcolm’s question with an enthusiastic ‘Yes!’ and asked that he return in the not too distant future. Three weeks later, Malcolm was assassinated. That was a dream deferred. 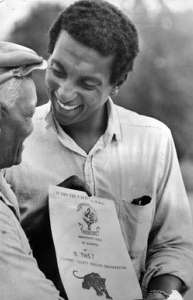 In the aftermath of the Selma to Montgomery march, Stokely Carmichael, later known as Kwame Ture, a SNCC field secretary, became the Lowndes County project director. Working with local students and community activists, they formed the Lowndes County Freedom Organization (LCFO), an independent political party with the Black Panther as its symbol. Gloria House, then a graduate student at the University of California, went to work in Alabama as a SNCC field secretary in the summer of 1965. The racist murder of white Episcopal seminarian Jonathan Daniels in Hayneville, located in Lowndes County, on Aug. 20, prompted House to return as a full-time Civil Rights worker for SNCC that fall. It was within this context that Stokely Carmichael contested and won the chairmanship of SNCC in May 1966. The following month James Meredith, who had desegregated the University of Mississippi in 1962, set out alone in a “March Against Fear” from Memphis into Mississippi on June 5. The following day he was shot and wounded by a white racist in Mississippi. In response the SCLC, the Congress on Racial Equality (CORE) and SNCC, pledged to continue the march to Jackson, the state capitol. During the course of the march through the Delta region of the state, Willie Ricks, now known as Mukasa Dada, mobilized sharecroppers and youth through the slogan Black Power. Carmichael picked up the slogan in a speech on June 16 after being released from a six hour jail stint for defying the police over erecting tents for the marchers at a local high school in Greenwood. Credit: Written by Abayomi Azikiwe. Published by Global Research, 2015. Reprinted with permission from Global Research.